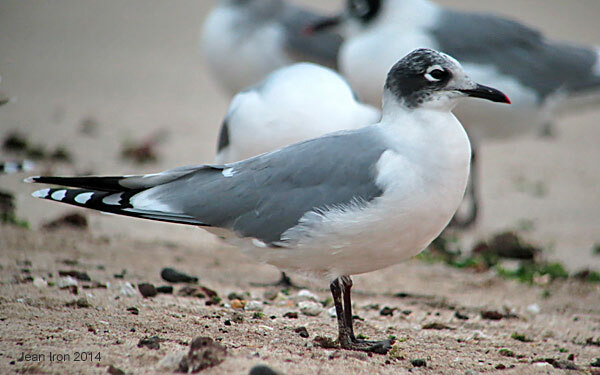 Adult Franklin's Gull in winter plumage. There is a rosy flush to the front of this bird even in winter plumage. 9 November 2014. 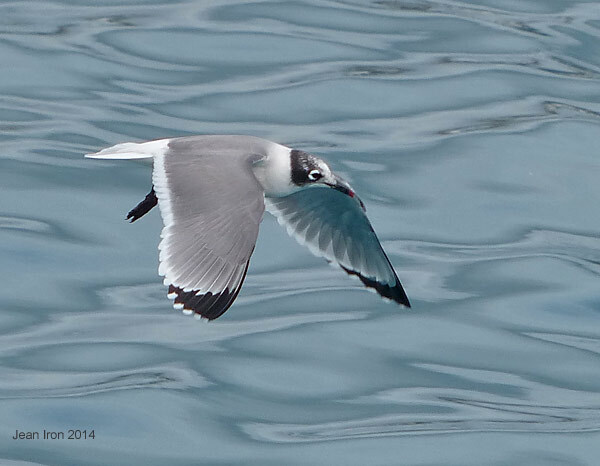 Adult Franklin's Gull in flight. 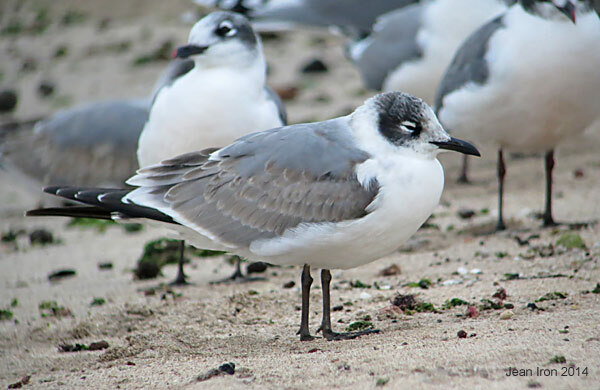 On 5 days out of an 8 day Quest Nature Tours Galapagos Islands cruise, we saw many overwintering Franklin's Gulls. 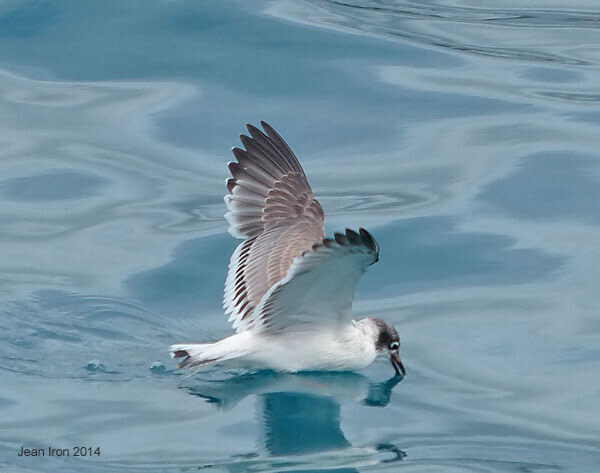 First winter Franklin's Gull in flight. 9 November 2014. 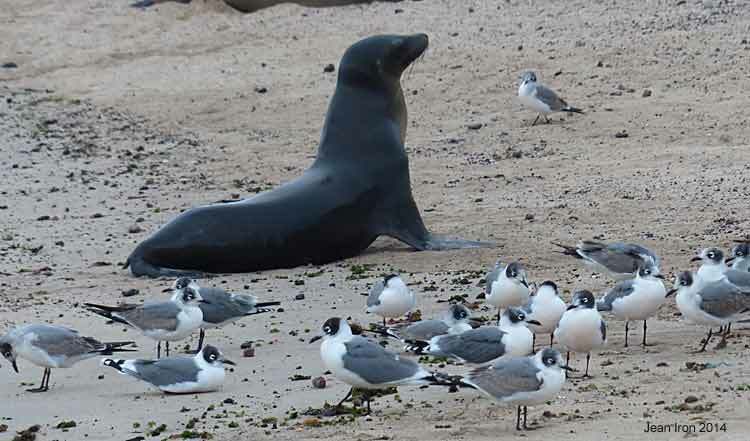 Franklin's Gulls on the beach with Galapagos Sea Lion at Baquerizo Moreno, a small town on the island of San Cristobal, Galapagos on 9 November 2014. More about our Galapagos trip here.